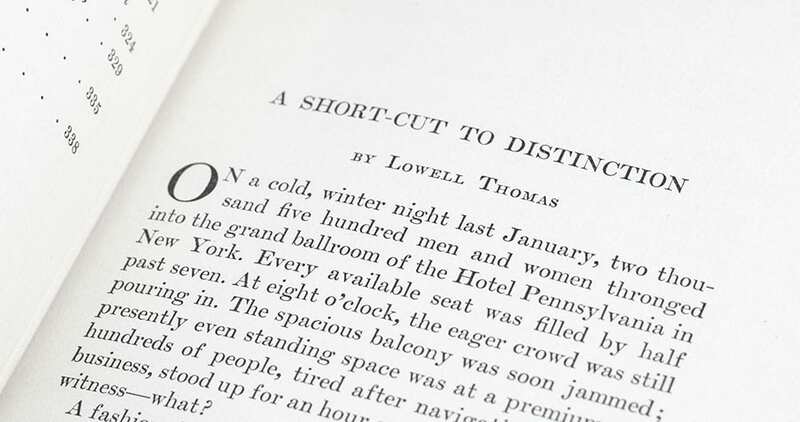 New York: Simon & Schuster, 1936. 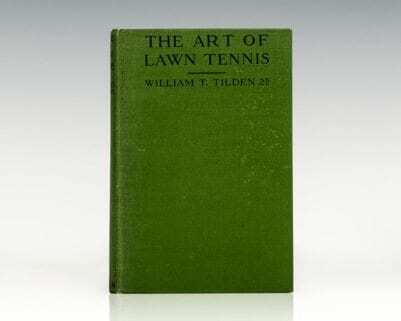 First edition of one of the best-selling books of all time. Octavo, original cloth. Near fine in a near fine dust jacket with light rubbing and wear, with the original Simon & Schuster reply card. First printings are scarce. This grandfather of all people-skills books was first published in 1937. It was an overnight hit, eventually selling 15 million copies. 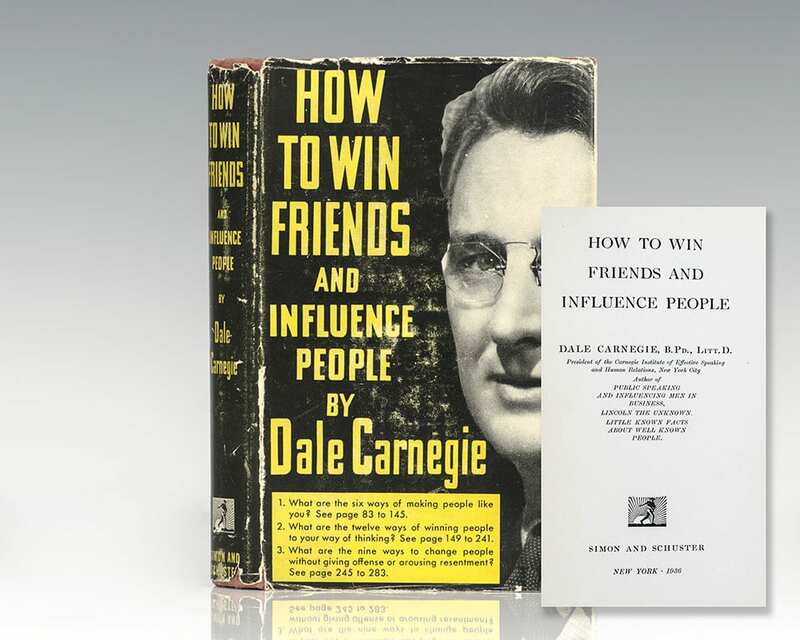 How to Win Friends and Influence People is just as useful today as it was when it was first published, because Dale Carnegie had an understanding of human nature that will never be outdated. Financial success, Carnegie believed, is due 15 percent to professional knowledge and 85 percent to "the ability to express ideas, to assume leadership, and to arouse enthusiasm among people." He teaches these skills through underlying principles of dealing with people so that they feel important and appreciated. He also emphasizes fundamental techniques for handling people without making them feel manipulated. 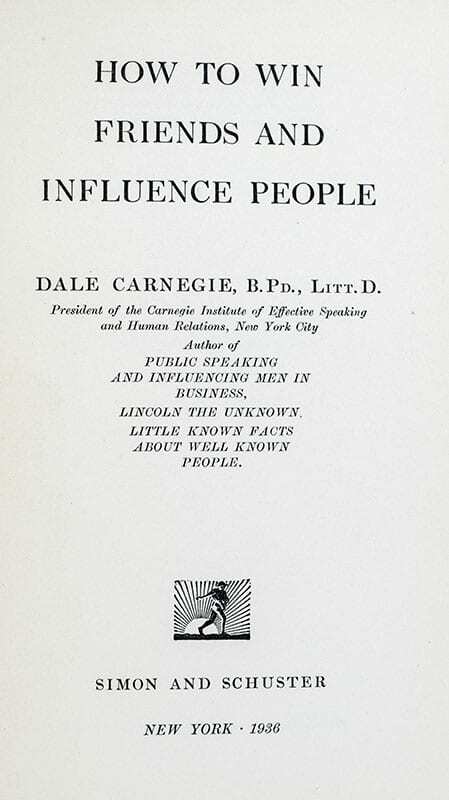 Carnegie says you can make someone want to do what you want them to by seeing the situation from the other person's point of view and "arousing in the other person an eager want." You learn how to make people like you, win people over to your way of thinking, and change people without causing offense or arousing resentment. For instance, "let the other person feel that the idea is his or hers," and "talk about your own mistakes before criticizing the other person." 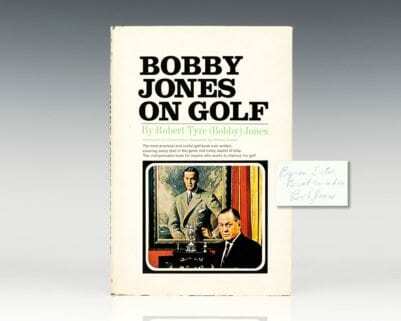 First edition of one of the best-selling books of all time. Octavo, original cloth. Presentation copy, inscribed by the author on the front free endpaper, “To George Chisholm with fond memories of the days when we used to ride the Chisholm Trail Dale Carnegie.” In near fine condition, with the original Simon & Schuster reply card. Housed in a custom half morocco clamshell box. First printings are scarce, signed examples exceptionally so.